English—Cuff. 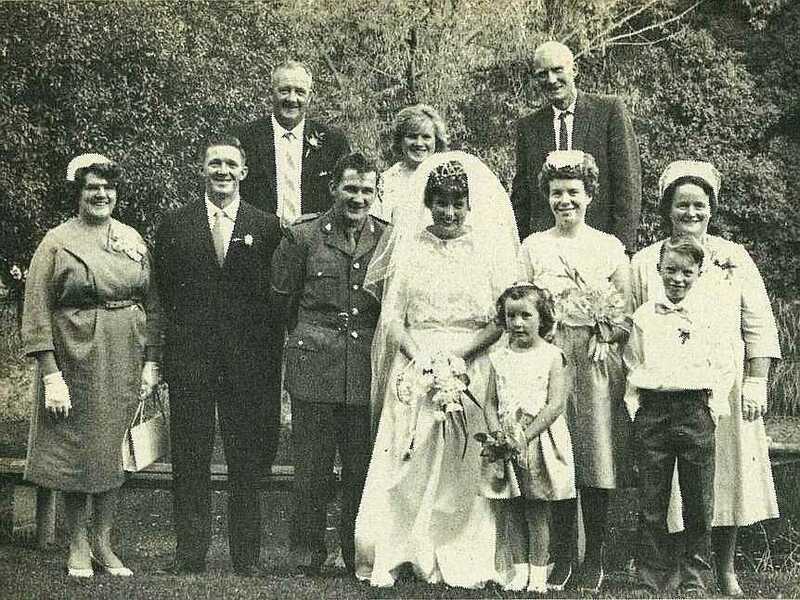 At St. Mary's Catholic Church, Taihape, Theresa Catherine, daughter of Mr and Mrs S. Cuff, 60 Moa Street, Taihape, to Larry Wayne, son of Mr and Mrs J. English, 20 Dickson Street, Gisborne. Attending the couple are Royce English, Palmerston North, brother of the groom, and Lucy Cuff, Taihape, sister of the bride. The page boy and flower-girl are the bride's brother and sister, Rex and Patricia Cuff. 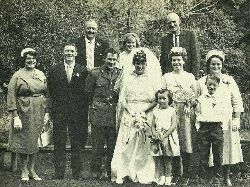 Also pictured are the bride's and groom's parents. Future home, Waiouru. 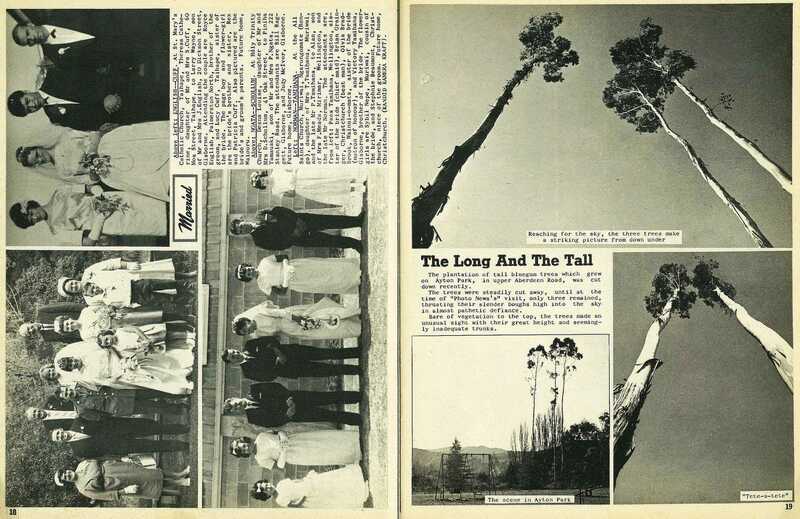 Ngata—Schollum. 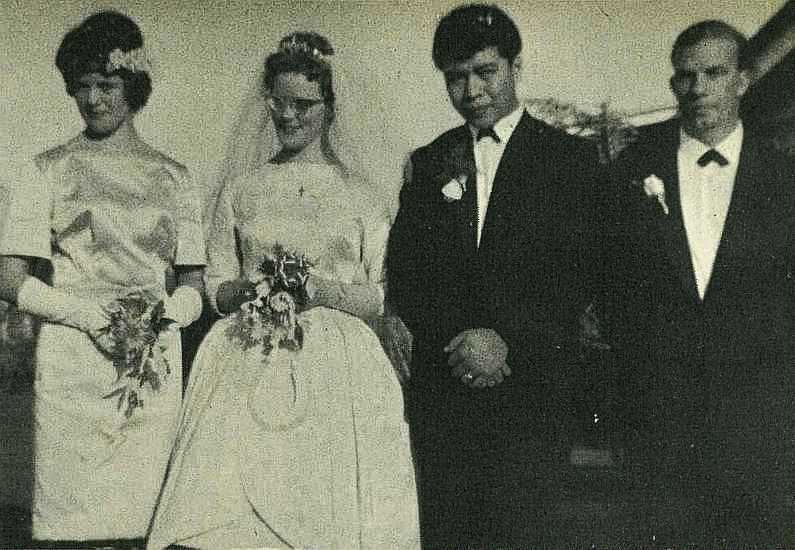 At Holy Trinity Church, Desna Louise, daughter of Mr and Mrs D. Schollum, 41 Oak Street, to Piniha Tamauaki, son of Mr and Mrs P. Ngata, 222 Stanley Road. The attendants are Bill Raggett, Gisborne, and Judy McIyor, Gisborne. Future home, Gisborne. Norman—Tamihana. 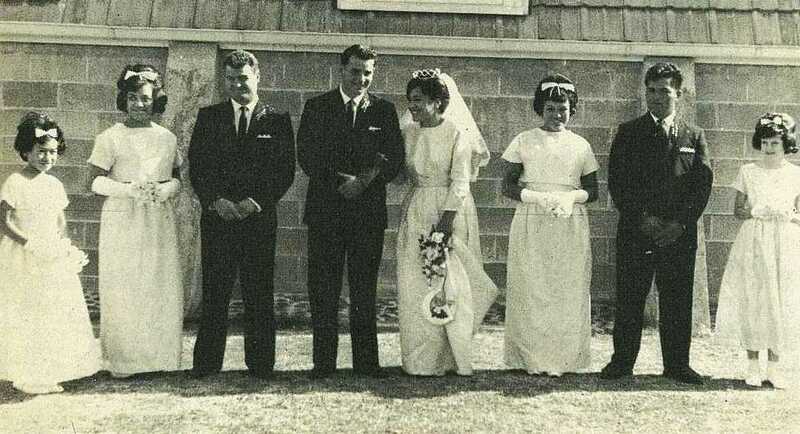 At the All Saints Church, Muriwai, Ngarongomate (Rongo), daughter of Mrs T. Tamihana, Muriwai, and the late Mr P. Tamihana, to Alan, son of Mrs F. Meads, Mirimar, Wellington, and the late Mr Norman, The attendants are, from left: Paea Tamihana, Wellington, sister of the bride (chief maid), Brian Grainger, Christchurch (best man), Olvia Bradbrook, Wainui-o-mata, sister of the bride (matron of honour), and Victory Tamihana, Gisborne, brother of the bride. The flower-girls are Sybil Nepe, Muriwai, cousin of the bride, and Stephnie Beaumont, Christchurch, niece of the groom. Future home, Christchurch. (Kandid Kamera Kraft).